DESTINATIONS - WHAT MOTIVATES ENGAGEMENT? This blog explores the factors that motivate people within a destination to ‘engage’ at destination level. 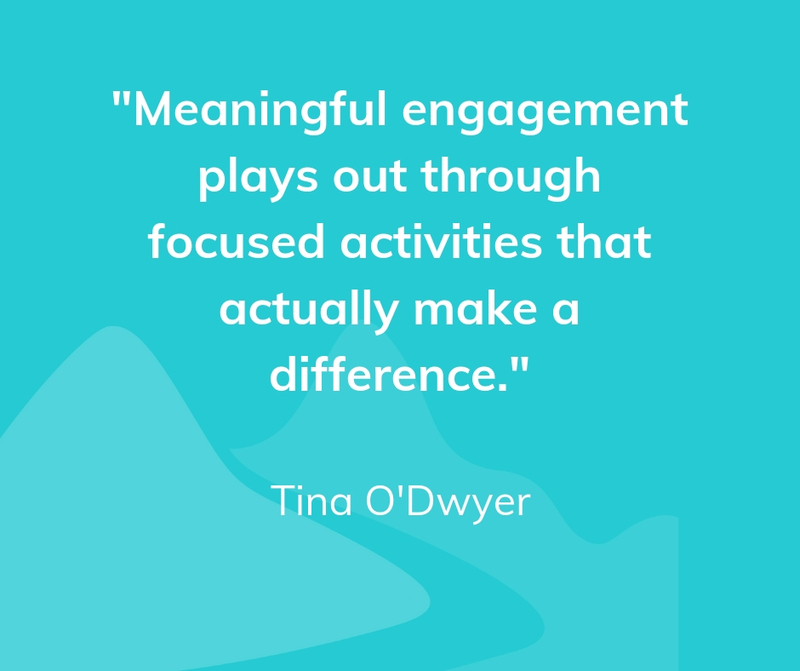 I recently worked with a group of very interesting people whose work requires them to achieve engagement and participation of stakeholders in their destinations. While committed to it, they find it challenging. To build engagement, it’s really helpful to understand the motivations for engagement in the first place. Here’s Maslow’s Hierarchy of Human Needs, as valid today as it was when he first shared it with the world in the 1940s. A brief summary is that humans have five core needs that are staggered in a hierarchy, and that we must satisfy our needs at each level before moving up to the next one. The first two needs relate to survival – we need water, food, shelter and to feel protected before we can consider any higher level needs, for example. How does an understanding of these needs play out in destination engagement? Physiological: At a fundamental level, people must have a framework for engagement – they must have time to engage and also the forum for engagement must be physically accessible in terms of distance or ease of access. Therefore, keep things short, focused and geographically accessible. Safety relates to ‘fear’. when something we care about is threatened, we act. Stakeholders will be motivated to engage on matters that they feel threaten the short-term or long-term health of their destination. Therefore, seek to understand what makes people fearful, acknowledge what is at stake, verbalise it and address where the destination is in relation to it. Love/Belonging in terms of engagement is also sometimes referred to as ‘Herd Mentality’: people engage when others they know and trust engage. People like to belong with others that they admire and respect. Therefore, identify those who generate trust and respect and allow them to lead and engage others. Esteem in destination terms relates to influence and power. People in destinations want to have a voice and want to be heard. If they feel they can have a tangible influence over the outcome, they will be motivated to participate. Therefore, ensure that what you are asking people to engage in actually makes a difference. Be action-oriented and emphasise how their participation influences the outcomes. Self actualization may express itself as altruism: with all other needs satisfied, humans are motivated by a strong need to give back, to contribute, to help others and leave a legacy. This is the point where people wish to focus on The Common Good or The Bigger Picture and is ideally the space where destination engagement would operate within. Be mindful that a group can only operate at this level if all earlier needs on the hierarchy have been addressed. To summarise, meaningful engagement will play out through short, fun, easy, convenient and focused activities that actually make a difference and that benefit from widespread contribution.